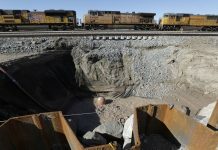 The Steamboat Geyser in Yellowstone National Park erupted for the eleventh time in 2018 on Friday, July 6, 2018, at 1:37 p.m. and the eruption lasted 32 minutes. 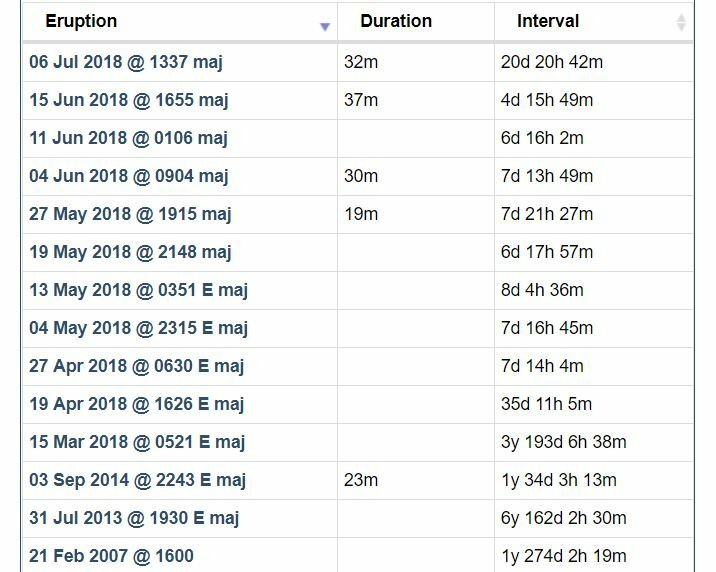 USGS said the geyser has decided to follow a semi-regular pattern of erupting every 6-8 days over the past two months; however, it has been 20 days 20 hours 42 minutes since the last eruption on June 15. 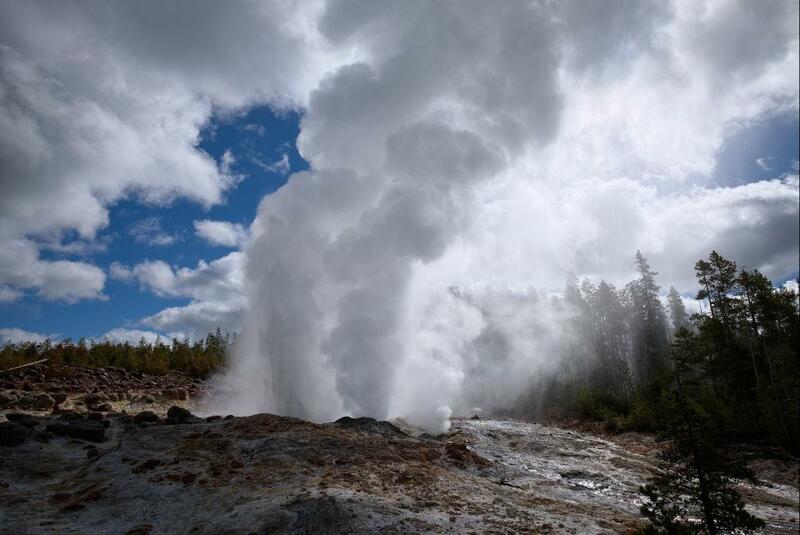 Yellowstone National Park’s largest geyser, Steamboat, is puzzling scientists after it erupted for the eleventh time since March 2018. 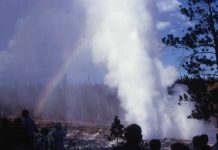 Steamboat Geyser, unlike the regular Old Faithful Geyser, erupts very infrequently. Before this eruptive swarm, Steamboat last erupted in 2014. 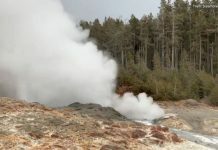 Scientists are unsure why all of a sudden the geyser is experiencing a string of eruptions, something that has happened in the past but not for decades. Steamboat is a larger and more powerful version of Old Faithful, shooting nearly boiling-hot water up to 345 feet into the air. According to the USGS, it appears there is an approximate periodicity of eruptions every 7 to 8 days. To study the geyser, geologists with the University of Utah set up seismic arrays across the geyser to capture the rumbling during eruptions. 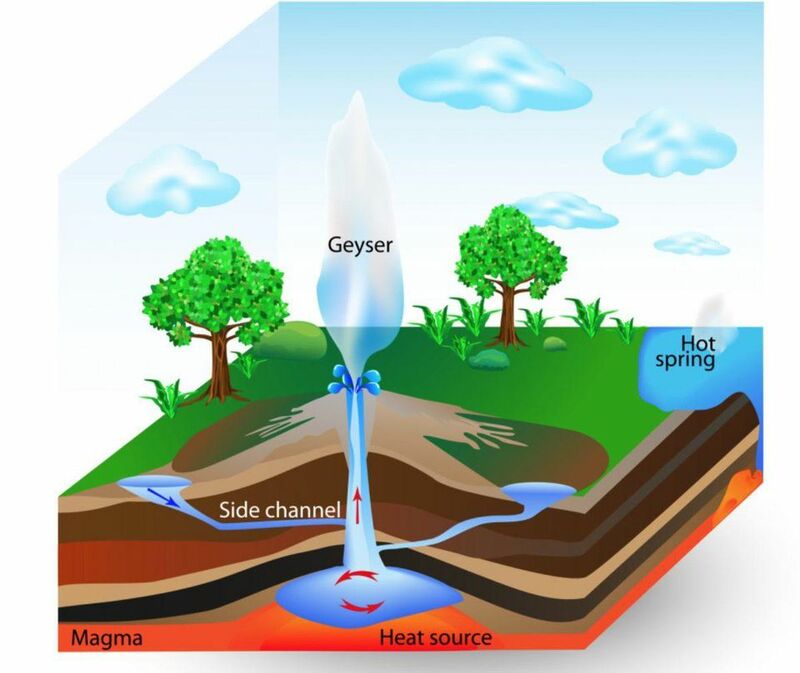 Their hope is to reconstruct the “plumbing” of the geyser by measuring the sound waves as they travel through the geyser up to the seismic sensors. While geyser eruptions can be dangerous if too close, they do not present an increased risk of a larger Yellowstone supervolcano eruption. Geyser eruptions are a normal and regular part of Yellowstone’s volcanic system. But as already explained, the behavior of Steamboat is more than suspicious. Steamboat Geyser erupts for the 25th times in 2018! Most active year in decades!